Crikey, we've had the Brighton Spring Food, Brighton Fringe and Official Brighton Festival already over and done with but next up is the Brighton Japan Festival which runs between the 18th and 26th June. 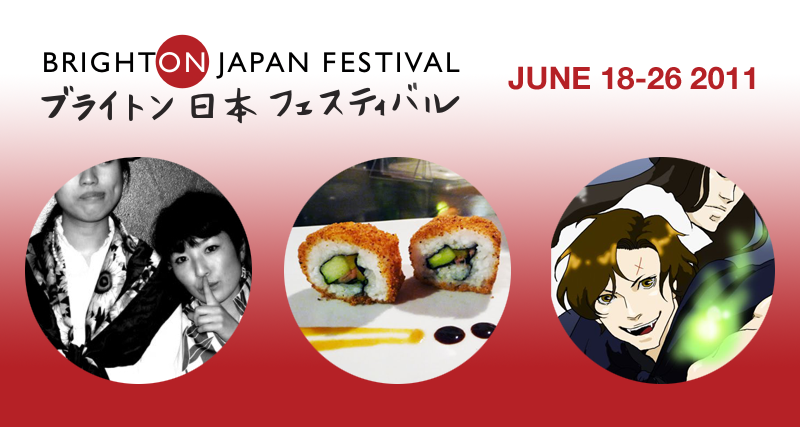 Focused on Japanese food, art, culture and film, this festival is founded by the city's well-loved Japanese restaurant Moshi Moshi (the first conveyor-belt sushi bar in Europe! ), which will be a hive for most of the activity. Below are my picks, obviously the majority are food related but have a look at the listings for many other events. The Moshi Matsuri is a celebration of traditional Japanese food and culture. Bartholomew Square will be transformed into an explosion of colour, with family friendly activities, shitamachi-style decorations and 30 stalls selling Japanese food, kimono and gifts. Whiskey tasting with a difference. These are from both the Yoichi Distillery and the Miyagikyo Distillery as well as a blend of the two, giving an opportunity to identify the differences in whiskey produced in the two Nikka Distilleries. Interesting. These special masterclasses will teach children the basics of sushi making, whilst teaching them about the importance of fish conservation. I loved Lost In Translation and in association with the wonderful Duke of York Picturehouse, the festival will be screening this movie with live music and Sky-Lounge waiter service. Brighton Dome will be showing some fantastic, charming performance art based around paper. My favourite seems to be The Confetti Maker, about a day in the life of a full-time confetti factory worker. "Cutting, perforating, shredding – all day, every day – he pursues his profession full of optimism. But he also has ambitions, dreams and fears far beyond the factory life: romance … love … family…" Also showing is The Rock Charmer and The Paper Washi Wish (one for the kiddies). See full listings for more details.